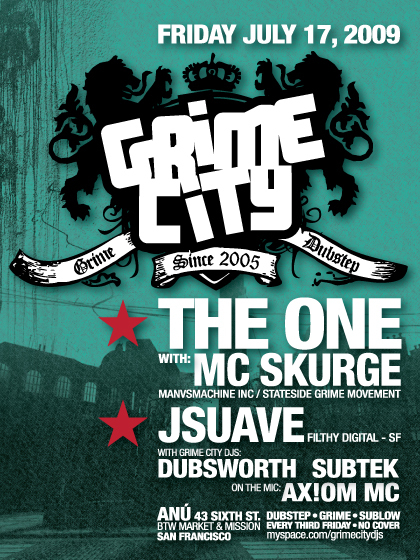 Description: New monthly starting up on a Dubstep vs Grime soundclash. This one Joe Nice vs Logan Sama, with The One, Kozee and Enzyme. Tickets: $8 limited presale, $12 before midnight. 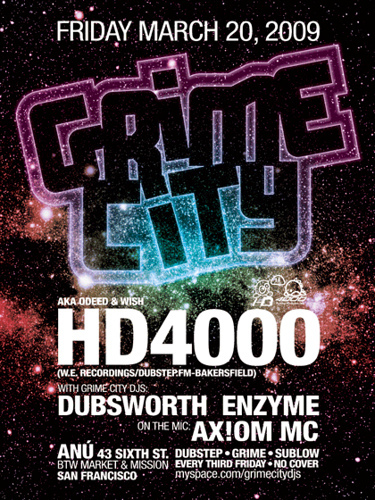 Description: HD4000 is coming up from Bakersfield to wreck shop, along with the grime city residents.